A new study using cryoablation to decrease pain for patients who have cancer metastases in the bone is now underway throughout Emory Healthcare. Cryoablation is a process that uses extreme cold (cryo) to destroy or damage tissue (ablation). Called the "Multicenter Study of Cryoablation for Palliation of Painful Bone Metastases", or MOTION, the study aims to assess the effectiveness and safety of cryoablation therapy to treat patients with painful bone metastases and document the effects the procedure has on their condition. The prospective, single-arm study will enroll 60 participants at eight centers in the U.S. and internationally. Twenty participants can enroll at Emory Johns Creek Hospital, Emory University Hospital, Emory University Hospital Midtown, and Emory Saint Joseph's Hospital. Participants will serve as their own control group in this one-year study. The clinical trial examines self-reported pain scores from the patients. Investigators are assessing improvement in scores defined by more than a two-point reduction in the worst pain in the last 24 hours, using the Brief Pain Inventory (BPI), from before the cryoablation procedure to eight weeks after the procedure takes place. The trial will assess patients experiencing pain at a level of 4 or above on a scale of 0 (no pain) to 10 (unimaginable pain). J. David Prologo, MD, director of Interventional Radiology Services at Emory Johns Creek Hospital, and assistant professor in the Department of Radiology and Imaging Sciences in Emory's School of Medicine, is the principal investigator for the MOTION study at Emory. Prologo says the goal is to freeze cancerous cells and stop the pain signals to the brain. 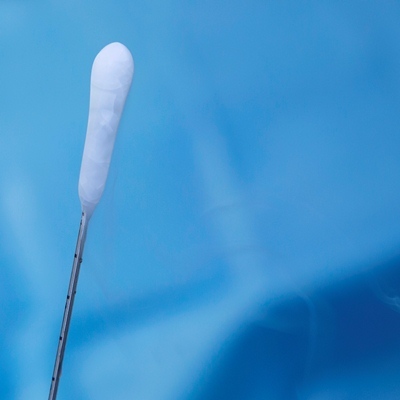 "We use image guidance to insert the ablation probe into the middle of a painful cancer lesion," says Prologo. "Then, we create an ablation zone by lowering the temperature to minus 40 degrees centigrade for 10 minutes." Emory interventional radiologists freeze tumors in order to kill cancer cells in contact with the bone and reduce the size of the tumor. CT images obtained during the procedure helps doctors guide needles into the tumor. Cryoablation provides an alternative for patients who haven't experienced relief from current pain therapies. Many patients suffering from cancer pain take several medications to cope with the pain. Galil Medical is funding this clinical trial. For more information about this study, contact the study coordinator, Maria Rivas at (404) 712-7962.